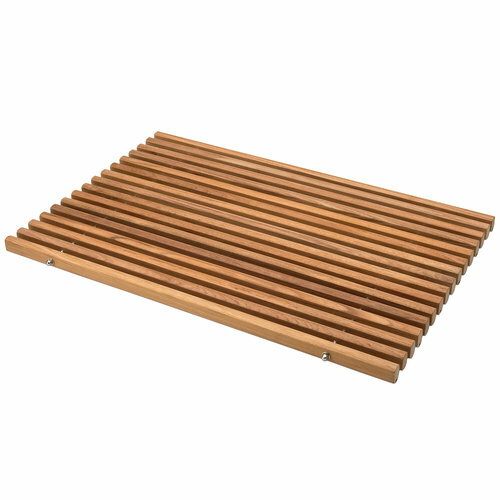 Skagerak’s Dania mat adds a warm and natural touch of teak wood to the bathroom, sauna or balcony. The wooden bath mat is comfortable to step on after the shower – your feet will stay warm, and the water will run on the floor through the wooden slats. Untreated wood is characterized by beautiful grain patterns, and its colour will live and gradually change over time.